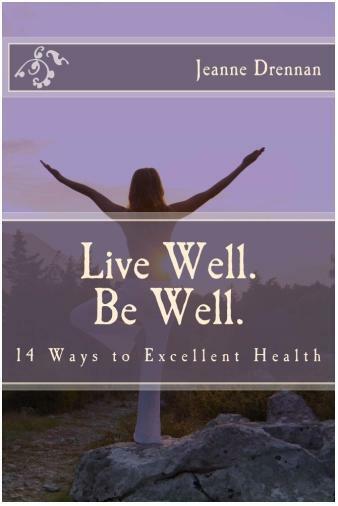 "I would definitely recommend this book to anyone interested in improving their health and overall well-being. " Today is the day you change your life! Do you feel like you've tried every health and wellness program out there only to be left feeling discouraged and disappointed? Has "get healthy" been on your New Year's resolution list for what seems like a decade? Have you tried over and again to eat healthy only to find yourself in a fast food drive-thru....again? Do you find yourself feeling achy, fatigued or stressed-out more days than not? Perhaps you're feeling frustrated because you feel like you're doing everything right, but you still don't feel as well as you know you should. I wrote this book for you! I purposely kept it small and simple because when you're trying to make lifestyle changes the last thing you need is 400 pages telling you how to do that. I want your journey to wellness to be do-able and enjoyable. In my book I give you tools and ideas that you can implement right now and ones you can work up to at your own pace. In addition to food and fitness, I talk to you about stress, sleep, forgiveness and doing things you love. I believe in a whole body approach - everything is connected, so your approach to wellness should address you as a whole - your mind, body and spirit.